Machining programmes can be up & down loaded through the RS232 port or saved directly to the PMCIA card. 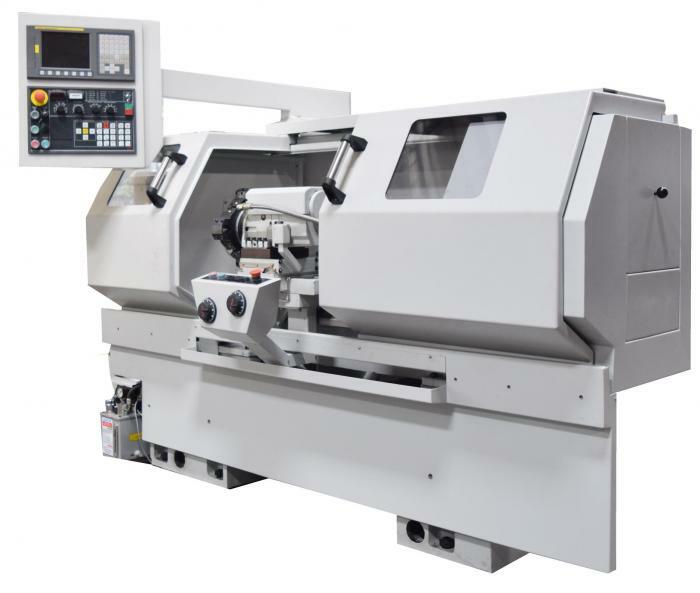 For 1 offs and small batch production the Super Turn can be programmed using flexible electronic turning cycles, its quick, its convenient and you do not have to be cnc trained to use electronic cycles. You can produce tapers, radii, grooving, mutiple point profiles and screw cutting by answering simple questions direct from the Fanuc screen. The electronic cycles can then be linked together to give a complete electronic programme. These machines can be used as a manual lathe by using electronic hand wheels, the control is used a digital read out.